At the end of the cycle of epochs, water and fire come down to recleanse and restart things anew. This week the event of the waters and floods is on Europe. The entire Eastern and Central Europe is stirred-up and gravely disturbed. Waters are coming down from the fountains of the earth and the heavens. Floods have arisen. And with them, come mud and debris. More than 20 thousand people have turned refugees and are fleeing the land. More are getting ready to flee the rising floods. 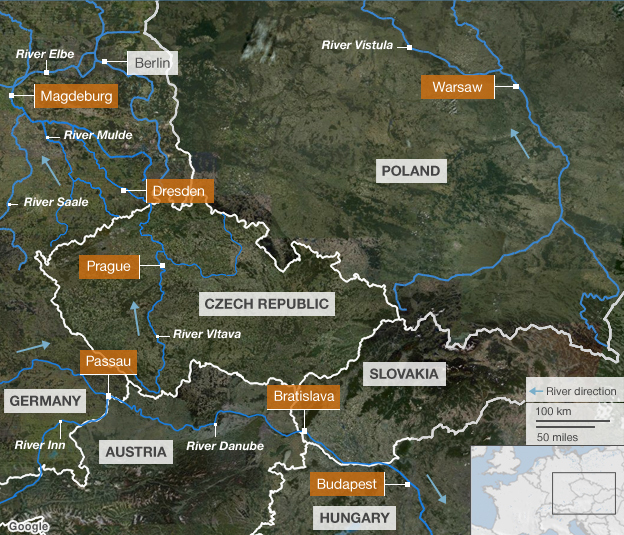 Central European capitals are flooded out or under threat. 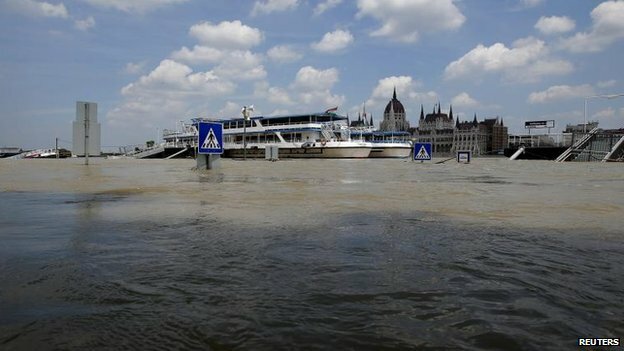 The capital of Hungary, Budapest is under a flood watch and there are sand banks lined up through entire neighbourhoods in a hopeless bid to keep the waters out. They hold back the river floods, but they cannot do nothing about the fountains of the heavens which pour down oceans of rain on them. They are getting ready to flee. The capital of Poland Warsaw was under water this weekend. Goodness knows when it will recede. Entire neighbourhoods have been turned into lakes and ponds. The capital of the German province of the Bundesland of Saxony-Anhalt, Magedeburg is completely under water. Its dams broke down yesterday under the weight of the surging waters and the city is on the run. The residents are become refugees in their own country. Magdeburg is situated on the Elbe River and was one of the most important medieval capital cities of Europe. Emperor Otto I, the first Holy Roman Emperor, lived for most of his reign in the town and was buried in the cathedral after his death. Other parts of Saxony-Anhalt and neighbouring Brandenburg state are equally threatened as the flood crest moves north. Flood defences as seen in the case of Magdeburg are already weakened by days of heavy rain. Even the German capital Berlin is no longer safe. A dyke at Fischbeck, west of Berlin, was reported to have breached overnight, forcing the closure of a major train line linking Berlin to Cologne, Frankfurt and Amsterdam. And so it goes on. From one battering to the next. Economy weakening, political paralysis, military stagnations and defeats, have come on Babylon. And just like the Prophet Marley foretold, there will also be the events of nature, in forms of lightening, thunder, rainstorms, and fires…..